Hi, I'm Sarah! I was born April 1991 in Honolulu, Hawaii, and grew up in Southern California. I moved to the Bay Area in 2009 to attend Stanford University, where I earned my B.A. in Psychology in 2013, and I relocated to Colorado in early 2018. Most of my earliest memories involve food. Food Network shows were a fixture in my household while I was growing up - Iron Chef, Giada de Laurentiis and Diners, Drive Ins and Dives were favorites. My father had worked extensively in the restaurant industry and loved to cook. When I was young, he taught me all the fundamentals, from how to dice an onion, to how to hone a knife. Years later, when I started to consider turning my passion for food into a career, he bought me my first knives. My mother was born in the US to immigrants from the Philippines, and I remember rolling lumpia (fried spring rolls) and making pancit (a noodle dish) with her on birthdays every year. I'm convinced my adventurous palette comes from my mom; she and I have always loved hunting down new restaurants to try and studying their menus extensively beforehand. 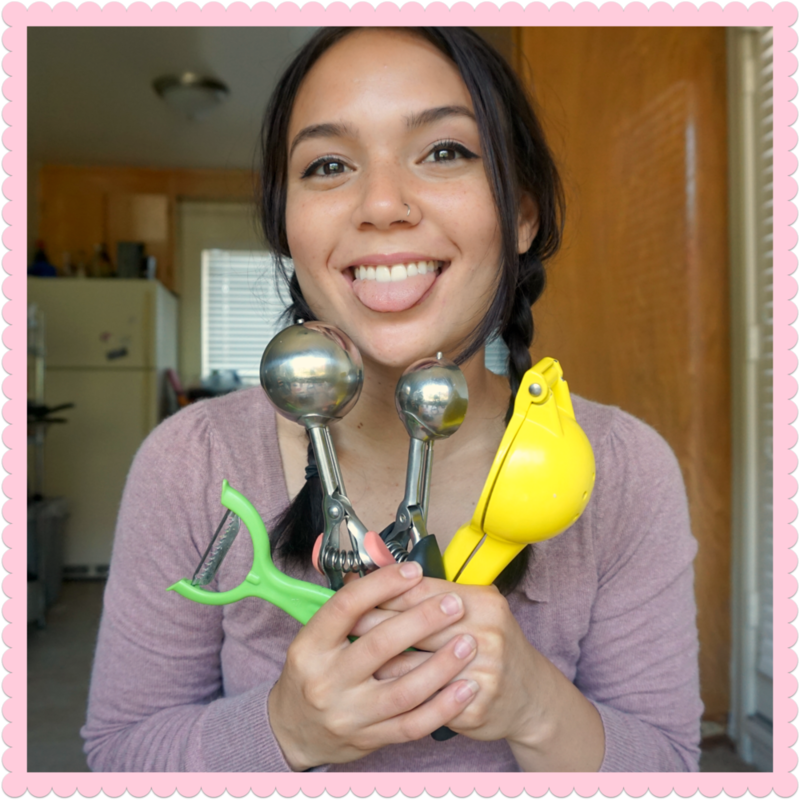 In high school, I was constantly baking, watching YouTube videos about technique, and poring through recipes and reviews on AllRecipes and Epicurious - I was glued to these two sites when I first started to take cooking more seriously! In my junior and senior years at Stanford, I lived in a vegetarian cooperative house, where I worked as one of two kitchen managers. In those two years, I had the opportunity to plan and execute large-scale vegetarian dinners for all 50 residents. I also spent hours of my free time testing new bread and pastry recipes to share with my housemates. It was during this time that I learned most of what I know about plant-based cooking. 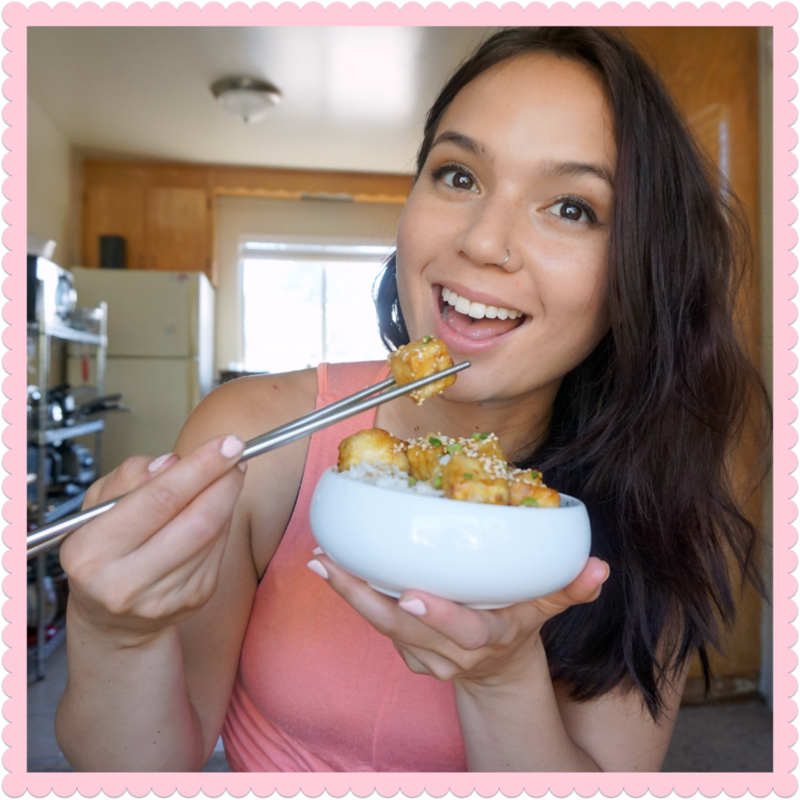 I started my YouTube channel Sarah's Vegan Kitchen as a hobby in late 2015 after deciding to transition to veganism. My initial reason for going vegan was to prioritize my health, but after living the lifestyle for some time and learning more about the environmental and ethical implications, I now see veganism as a framework for a more compassionate and intentional life. When I'm not working on Sarah's Vegan Kitchen, I love lifting weights, playing guitar and singing, or reading books about psychology or spirituality.